Large and comfortable, cozy and silent, elegant and well kept in every detail. Hotel A La Commedia's rooms are designed to give you the best maximum comfort, welcoming you in spaciousenvironments, way above the standard of the city of Venice. 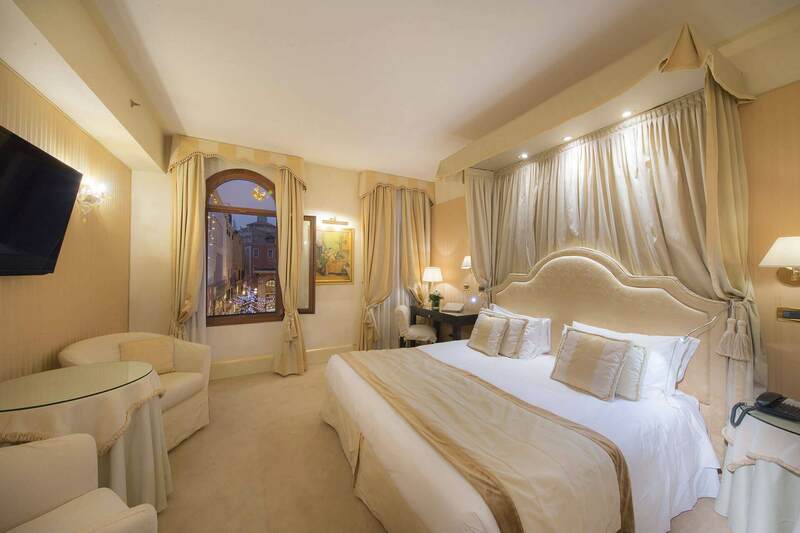 Featuring fine fabrics and refined Murano light spots, the rooms combine an impeccableVenetian style with quality furnishings and state-of-the-art technology. Even the bathrooms will exceed your expectations: made with marble, with bathtub/shower, Bisazza mosaics and all the space you want. Among the 35 rooms and suites distributed over 4 floors, there are two rooms for the disabled and two family rooms, ideal for 6 guests. They may be booked only on request. 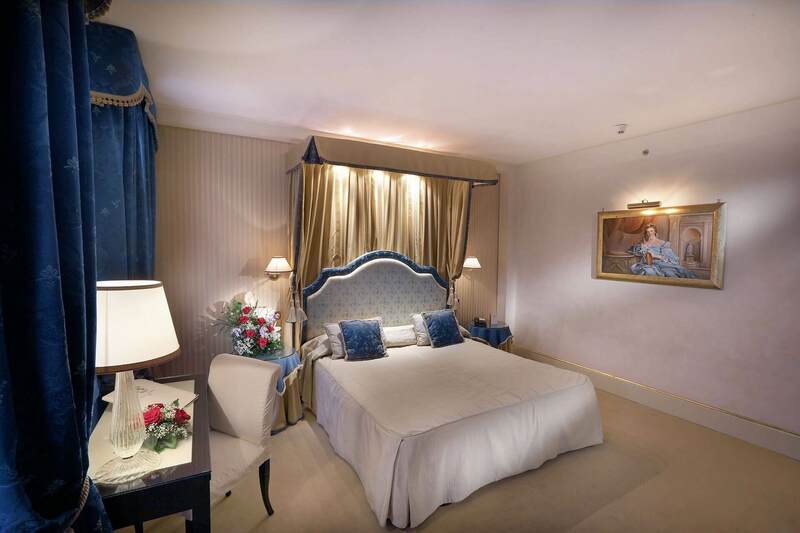 Welcoming and elegant rooms, furnished with rich fabrics and refined Murano lampshades. Bathroom in Italian marble with a bath/shower. Available only with double bed. 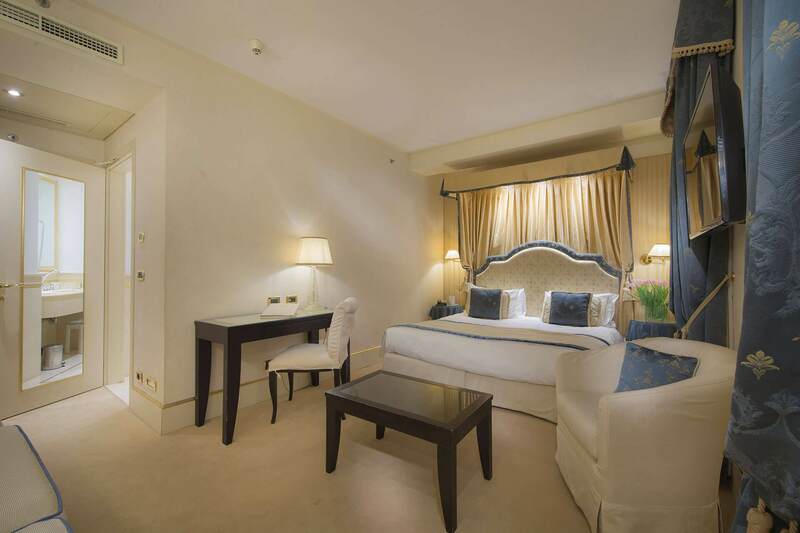 Comfortable room, carefully furnished with refined detail, decorated with quality Venetian fabrics and Murano glass wall lights, creating a very pleasant atmosphere. Spacious bathroom in Italian marble with bath/shower. Option of a double bed or separate beds. 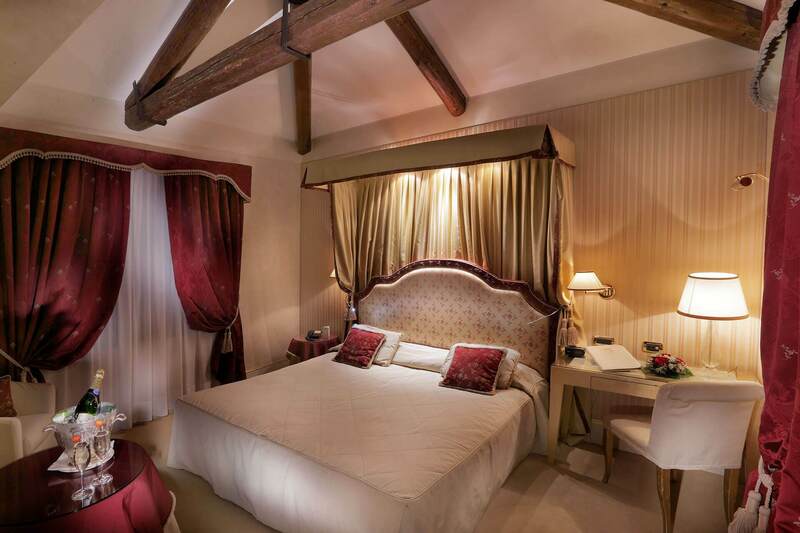 Exclusive and spacious suite charmingly furnished with quality Venetian fabrics in a symphony of colours and lights. Includes an elegant day area/living room with a large sofa and a bedroom furnished with refined fabrics and lampshades. Spacious marble bathroom with a bath/shower. Option of a double bed or separate beds. To start the day on the right foot, a hearty and delicious breakfast buffet is served on the first floor lounge with sweet and savory delicacies that can satisfy every palate.